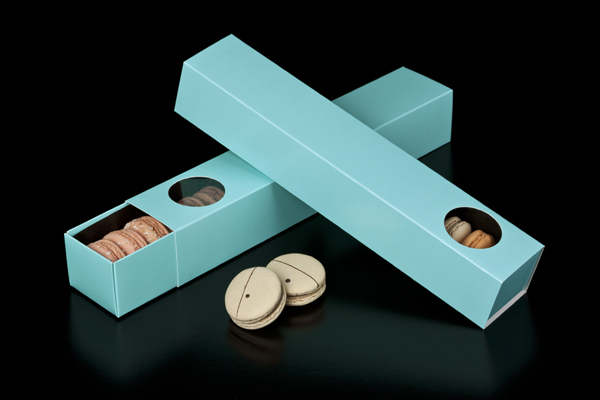 If ever there was a color that matched the intent behind the design, it's the hue of this Diamond Blue macaron box base. Exclusive but inviting, the overall feel of your macaron packaging should capture the demure decadence embodied in each macaron or miniature cupcake you've put your hands to making. 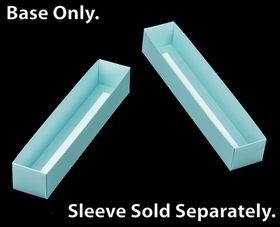 Fill this base with your confections and treat each morsel as a gem for the senses. 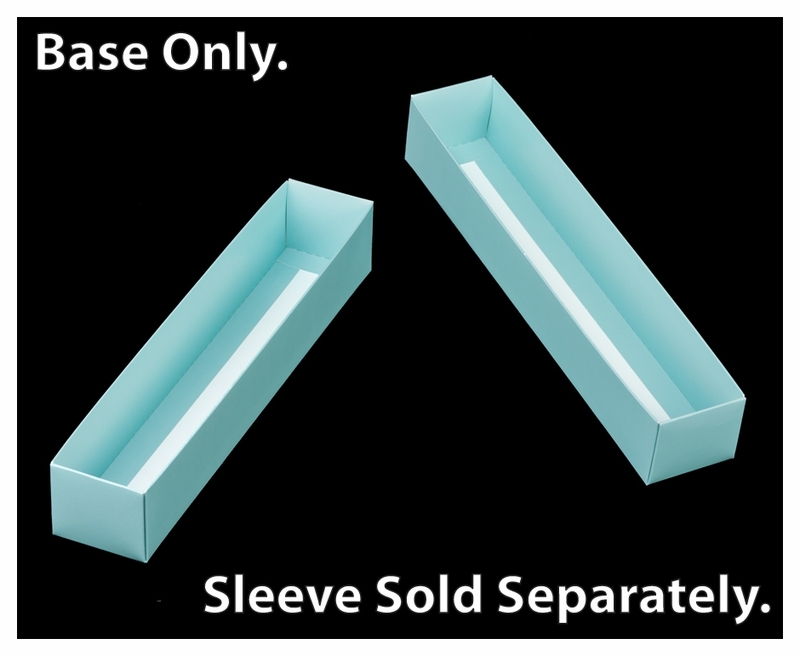 Introduce a matching sleeve to this base or mix things up with another color. Easy to assemble, beautiful color and excellent material.